Is the Drinking Water Safe in Brazil? Whenever traveling international, it's important to know the water situation of the destination. If you're visiting Brazil, you may wonder: Is it safe to drink tap water in Brazil? In the greatest part of the territory, it is. According to Human Development Report data issued by the United Nations Development Programme, most of Brazil's population has "sustainable access to an improved water source." That means you can find clean water in Brazil. However, that doesn't mean most Brazilians drink water straight from the tap. Despite reassuring reports issued regularly by water providers, the consumption of filtered and bottled mineral water is widespread in Brazil. Tap water is typically safe to drink and you can brush your teeth with the water. But because of how it's treated, it doesn't taste very good. This is the main reason most Brazilians drink bottled and filtered water. The consumption of bottled water in Brazil, which grew 5,694 percent from 1974 to 2003, according to Ipea (Applied Economic Research Institute), is still on the rise. 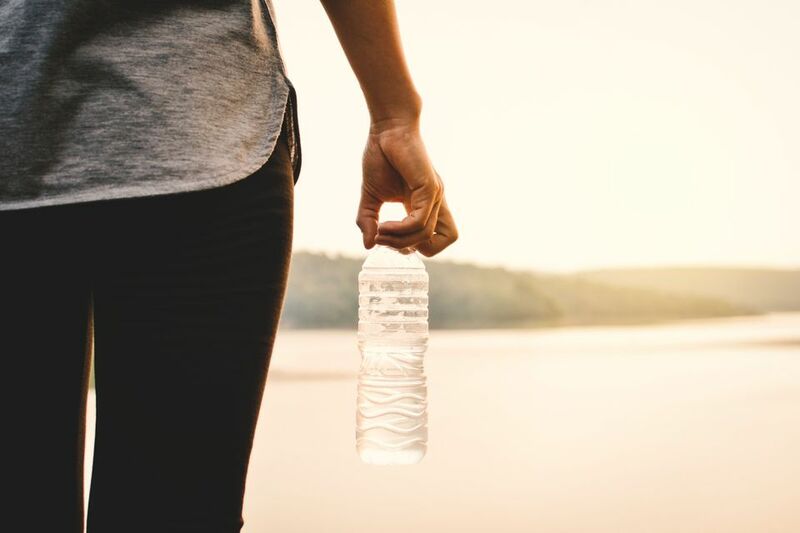 While other soft drinks have seen negative growth, bottled water's sales continue to rise, according to the Euromonitor International. Reasons behind the sales include a healthy lifestyle and hot, dry weather conditions, the report said. Carbonated water is also popular in Brazil. If you want to drink carbonated bottled water, order "agua com gas." If you don't like carbonated water, make sure you specify "agua sem gas." Carbonated mineral water (água mineral com gás) is usually obtained artificially, with rare exceptions, such as Cambuquira, available in returnable glass bottles. This naturally carbonated water comes from springs in the eponymous city in Minas Gerais. In many Brazilian homes, people use coolers or faucet filters. However, more traditional ceramic filters in handmade clay containers are still used. São João, produced by Cerâmica Stéfani since 1947 in Jaboticabal, in São Paulo State, is a bestselling filter in Brazil, according to the company. These filters have been often used by the United Nations and the Red Cross in regions affected by tsunamis and other natural disasters. Water and wastewater services in Brazil comply with the Ministry of Health guidelines, which include fluoridation wherever there are water treatment plants (in accordance with a 1974 federal law). At least an estimated 70 million people in Brazil have access to fluoridated water. Most restaurants in Brazil only serve bottled mineral water. Therefore, water won't be brought to your table unless you order it, and it will usually cost more than at supermarkets and bakeries. As a rule, water filters are not available for guests in Brazil hotels. The bottled mineral water you'll find in your suite's mini refrigerator is typically much more expensive than at grocery stores (as are the snacks, by the way). Mineral water in larger bottles (up to 2.5 liters) found at supermarkets are almost always proportionally cheaper than water in half-liter bottles or the plastic cups with aluminum foil tops (like the ones used for yogurt) widely sold at bars and restaurants. The production of mineral water in Brazil is well regulated and monitored. However, the Brazilian Association of Mineral Water Industries recommends that consumers look for the Ministry of Health (Ministério da Saúde) registration number on the label. You can feast on the clearly marked potable water fountains available in spa towns such as the ones on the Minas Gerais Water Route (including Cambuquira) or São Paulo State's Water Route. Avoid drinking all water you don't know the origin of. In rural areas, only drink water from wells or springs if you are sure they're safe from pesticides and other contaminants. Follow CDC's safe food and water advice when unsure of water quality in Brazil. Gelada ou sem gelo? ("Icy or room temperature?") In Brazil, "icy" water just means "right out of the fridge." Be aware that, depending on where you are (at food stalls, for example) asking for ice cubes might defeat the purpose of getting an unopened bottle of mineral water. Ice cubes may not be as clean or taste as good. Be extra careful about drinks, in general, prepared by food vendors. Some stalls and their staff are cleaner than others. Established food and craft fairs, which are monitored regularly by Sanitation Inspection (Vigilância Sanitária), tend to be safer than isolated vendors. When hiking in Brazil, you might come across springs marked with "água potável" ("potable water") signs. Ideally, you should have a confirmation from a knowledgeable guide about the area's spring water safety.